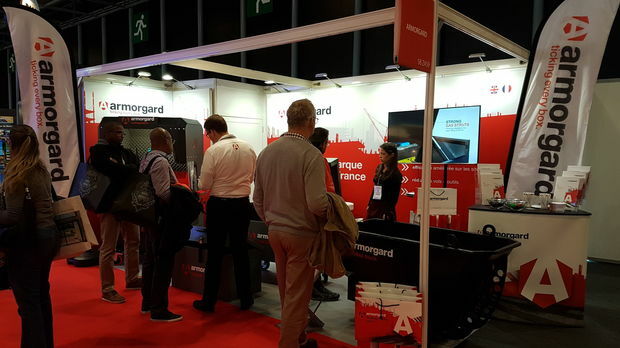 Armorgard France launched in style with a spacious stand at the Batimat exhibition in France, and a buzz of excitement as visitors checked out the products on show! The bi-annual Batimat exhibition is the leading international trade show, lasting for 5 days at a time. It’s biggest of its kind in Europe and it attracts around 340,000 visitors! 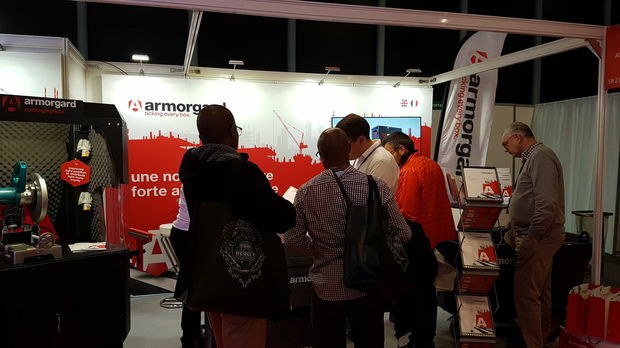 The Armorgard France team were looking to engage with both the end users and potential distributors, and judging by the huge amount of interest shown in our range, our first appearance was a definite success! 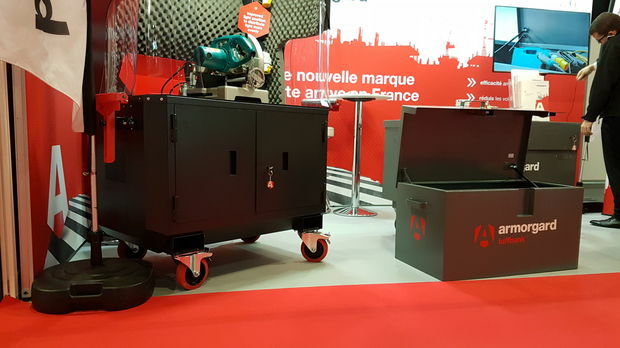 Some of our most popular and unique products were on display: the new style CuttingStation, the Rubble Truck, and the TuffBank. 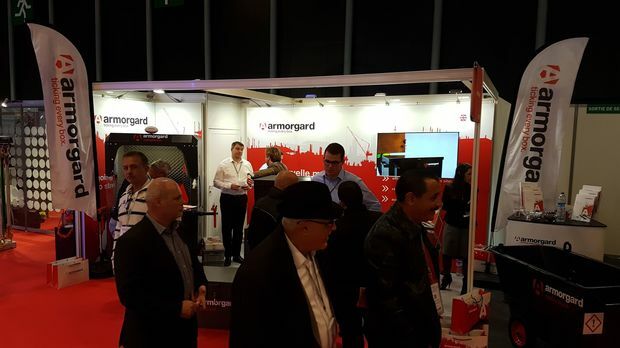 The products aroused considerable interest, particularly the Rubble Truck, and the feedback we received indicated that they were the solutions that people were looking for!